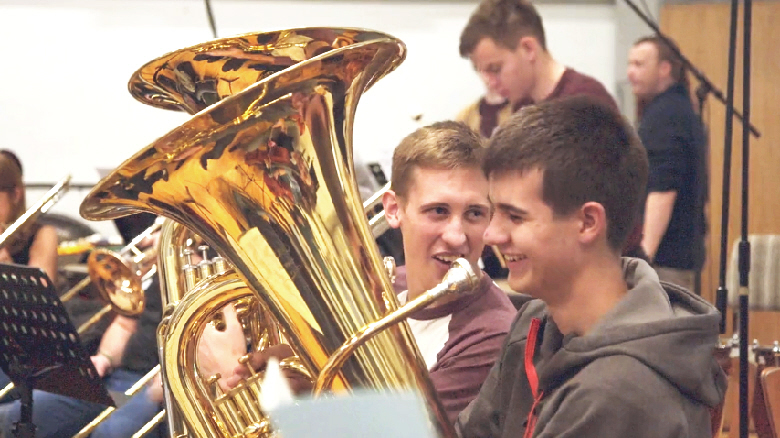 The University of Surrey’s Department of Music & Media brought together 90 musicians from the local area to join forces with the University Orchestra, to rehearse and perform Stravinsky’s Rite of Spring … in just one day. It was conducted by Russell Keable, one of the country’s most exciting and versatile musicians. We used two roaming cameras and three fixed cameras to capture the rehearsal and performance from every angle, and we filmed comments from Russel Keable, as well as local musicians. Some musicians had not played for a number of years and came along to “give it a go”. The University is delighted with how the video captures the enthusiam and atmopshere of the day, and powerfully demonstrates how the University is making a difference in the surrounding communities. We are now producing promotional videos for four degree courses for the Department of Music & Media.